Microscopic root canal therapy is a treatment used to “save” a tooth when the nerve becomes infected or the pulp becomes damaged. The alternative to a root canal is generally extracting the tooth. 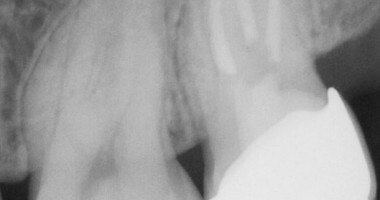 For the optimum outcome, root canals are often performed by specialists called Endodontists. Endodontists have at least two extra years of training beyond dental school that focuses on diagnosing tooth pain and performing root canal treatment and other procedures relating to the interior of the tooth. 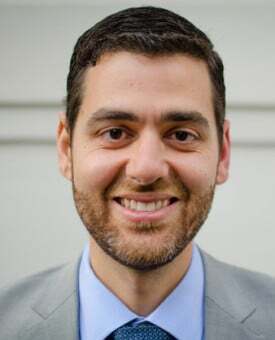 Our Endodontist, Dr. Rabi, is at our 25 West 68th Street location every Wednesday so you can see a specially trained provider at the office that you know and trust. For new patients, your first appointment will be a a limited exam and x-ray with a general dentist, or a 30 minute consultation with Dr. Rabi. In both cases, our goal will be provide an accurate diagnosis and make sure a root canal is the best treatment choice for you. If you’re in pain, we can take steps to help you feel better until your root canal appointment. Then we can schedule your treatment with Dr. Rabi. If time allows we might be able to offer same provide root canal treatment. During the treatment, Dr. Rabi will remove the nerve and pulp of your tooth, then clean, and seal it. He uses a special microscope so that the entire procedure is minimally invasive. For many people, root canal therapy is one of the most feared procedures in all of dentistry. However, at Central Park West Dentistry, we make it our number one priority to ensure your comfort, so there is absolutely nothing to fear. After your root canal, we’ll probably recommend that you protect the tooth with a crown. Since the tooth’s nerves and blood supply have been removed, it becomes fragile. Protecting it with a strong, natural-looking crown can increase the prognosis of the tooth by six times. “ Cpwd is literally the #1 dentist in the city/potentially the world?? I woke up with hoooorrible tooth pain and went to a different dentist that same day. After a seriously unsuccessful visit with that dentist I looked up other options and CPW, thankfully popped up. I called and asked if there was ANY way they could get me in same day and they said they could see me in an hour . Honestly, a God send. Literally, I WISH I HAD GONE HERE FIRST. Doctor Rabbi is... the greatest. Fixed my infected root canal as soon as he knew what was wrong, and followed up the following 4 days to see how I was recovering. I literally look forward to going to the dentist now because I know it will be quick, easy, and the most pleasant experience in New York. I will be a patron for life!! “ I first went to CPW right after the first of the year due to some tooth pain. Turned out I needed a root canal.... Amazing experience (for the dentist that is!)... Everyone has always been on time...never late. The service is always tremendous - no attitude. Always greeted by name every time I walk in now. They've been very clear up-front with what is required, costs, etc. - never any surprises. I highly recommend them! “ Emergency Root Canal- I am forever grateful to the staff at CPW dentistry. I called their number around 3am to set up an appointment because of a previously butchered root canal. I was in so much pain they saw me that same morning and started to work on my root canal right away. My pain was immediately alleviated but as time went by I also caught an infection and no matter how many times I needed Dr. Lhota to see me, he did! And, he was able to save my tooth. “ This company is the Bentley of dentistry!!! I was hooked on my first visit and trust me I'm not a fan of going to the dentist, but the staff ( Mallory, Angel, Teresa, Anel, Elyse, Dr. Winokur) were absolutely AMAZING!!!! I've never been to a dental office where they are very attentive to the patient's needs. 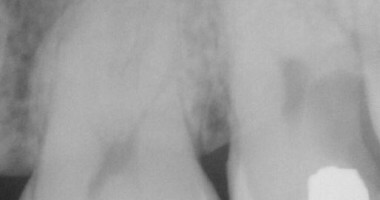 I had a very bad experience with a root canal at a different dental office in the city, but when Dr. Lipner did my recent root canal I was so comfortable I think I dozed off a couple of times, and that says a lot about his awesome technique. I also had to get a tooth pulled and Dr. Winokur did a great job, and did something you don't often get from a dental office, a follow-up call.